Are you curious about zines*? Have you always wanted to self-publish your own radical alternative media on a topic which you are passionate about? 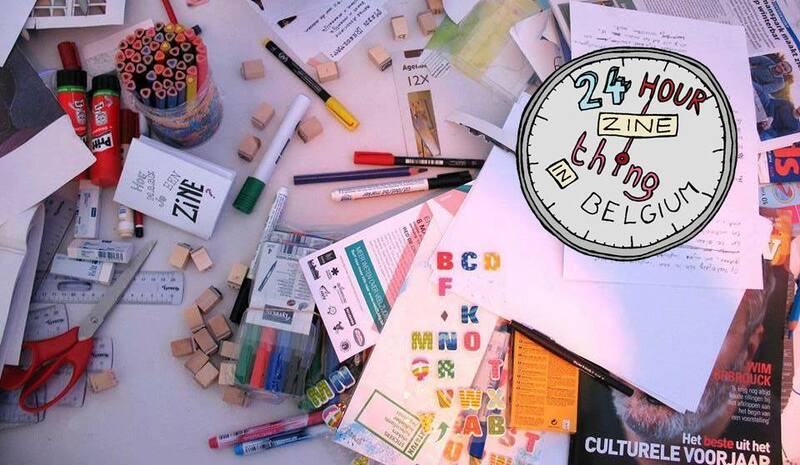 Join the 24-hour-zine challenge and make your own zine or mini-zine in just 24 hours (sleep included :-))! A small friendly workshop in the safe space of LeSpace, everyone welcome, also just for an hour or two if you can’t make the whole event! *Zines = self-made, non-commercial booklets or magazines, often on radical and political topics, which you can write/draw/make however you want and copy to give or swap with friends. 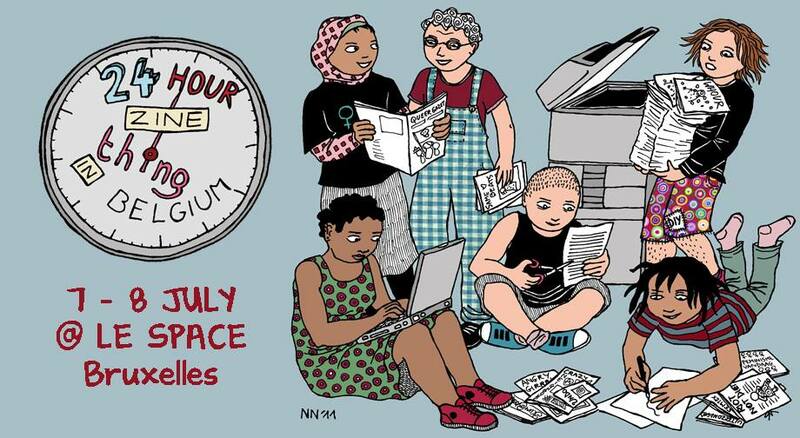 The next 24 hour zine event will take place at Le Space in Brussels. Everyone welcome, from experienced zinesters to newbies! For people who’ve never made zines before, we explain the zine basics and teach you how you can make your own zine! If possible, bring some basic materials such as: a pencil, a black pen, an eraser, scissors, a glue stick, and paper. Additional materials such as stickers, old magazines to cut up, wrapping paper, stamps, photos, and yarn can be fun to use too. If you prefer to work digitally, you can bring your laptop and use open office, Scribus, or InDesign to make your zine. This entry was posted in Activities, International Zine Month, News, Workshops and tagged 24 hour zine thing, international zine month, le space, lespace, zine workshop. Bookmark the permalink.